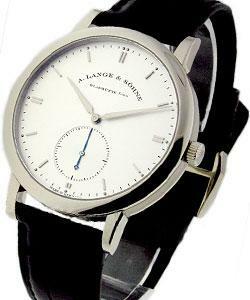 In 1845 Adolph Lange founded his watch workshop in Glashutte, Germany. 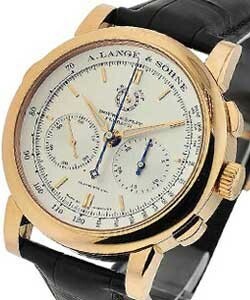 100 years later, the A. Lange & Sohne factory was destroyed during a World War II bombing raid. After the German reunification of 1990, his great grandson, Walter Lange decided to bring back the family legacy. 15 years later, Lange has created the technical firsts such as the first watch with a fusee and chain transmission, a tourbillon, and a rattrapante chronograph combined in one movement. 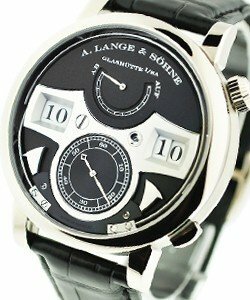 A. Lange & Sohne invented the first watch with a fuse and chain transmission as well as being the first to include a tourbillon and rattrapante chronograph in a single movement. 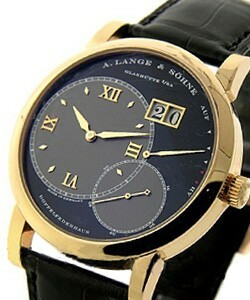 Thus A. Lange and Sohne luxury watches have made a huge impact on the world of haute horlogerie. 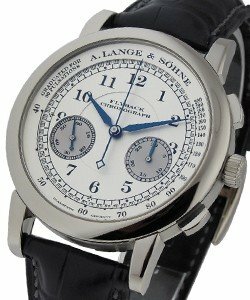 As one of the oldest watchmaking companies in the world, A. Lange and Sohne luxury watches have a strong history of innovation and precision. 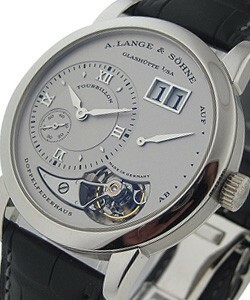 The Homage to F. A. Lange Edition includes the 'Lange Tourbograph', the 'Lange 1 Tourbillon', and the 'A. 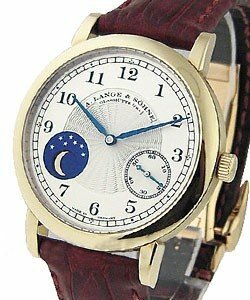 Lange and Sohne 1815 Moonphase'. 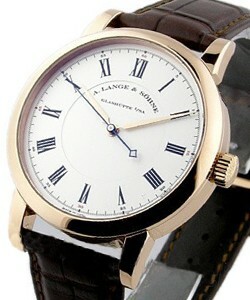 The case is recognizable honey colored 18k gold and features a beautiful guilloched dial. 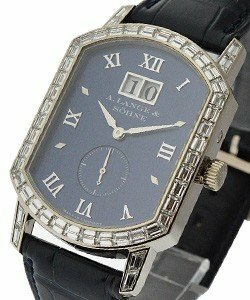 The A. Lange & Sohne Luxury Watch Line is composed of several famous models. 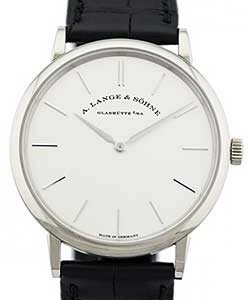 Of these, the 'Lange 1' and 'Grande Lange 1' are easily the most recognizable models, as their dial configurations are so unique. 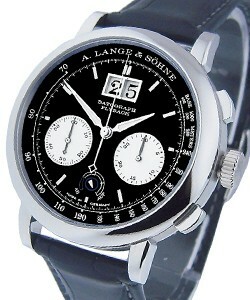 The next most well-known Lange luxury watches are the 'Datograph', 'Datograph Perpetual' and the 'Lange Double Split'. 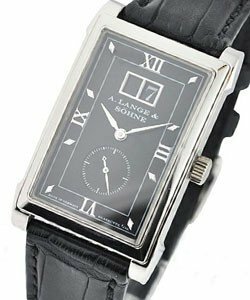 More recently, A. Lange & Sohne (often abbreviated as 'Lange') launched a classic simple oversized model called the 'Richard Lange', along with the much anticipated 'Lange 1 Timezone'. Both are available in all metals. 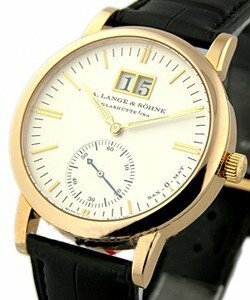 The 'Lange Zeitwerik Collection' takes a new approach to timekeeping and includes the award winning 'Lange Zeitwerik Striking Time' and the 'luminous' in addition to the original model. 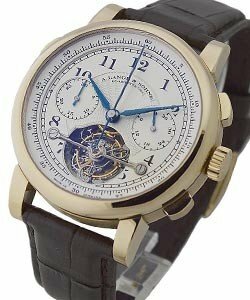 This was the first mechanical wristwatch to include a jumping numerals display. 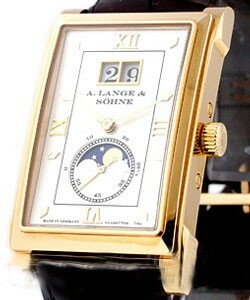 Other collections include the famous 'Lange 1 Collection', with the classic 'Lange 1', the 'Grand Lange 1', the 'Lange 1 Daymatic', the 'Lange 1 Moonphase' and the 'Lange 1 Time Zone'. 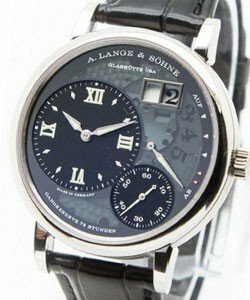 The 'Saxonia collection' of A. Lange and Sohne luxury watches includes the 'Saxonia', the intricate 'Saxonia Thin', 'Lange 1 Dual Time' and 'Lange 1 Annual Calendar'. The 'A. 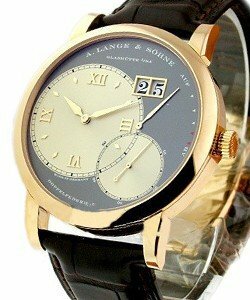 Lange & Sohne 1815 collection' includes the 'Lange 1815' and the '1815 Chronograph'. 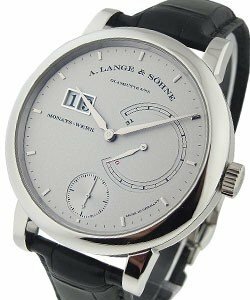 Other noteworthy models include various A Lange & Sohne limited editions like the 'Tourbillon Pour le Merite' and '1815 Moonphase'. These Luxury watches continue to be sought after and in limited supply. The quality rivals the greatest of makers and the unique character of the displays are instantly recognizable to the initiated.